(Leah Hogsten | The Salt Lake Tribune) Copper Hills High School's soccer team's leading scorer, Carter Johnson, practices with the team Wednesday. West Jordan • His captain was hobbled, struggling to find the flow of a game earlier this season, so when he found the time, Eddie Moura pulled aside Carter Johnson and asked for an honest assessment. Johnson, Copper Hills’ senior captain and leading scorer and assist man, gave his coach an answer expected from the man with the armband. That’s the sort of transparency that Moura saw three years ago when he first took notice of a thin freshman with a knack for not only banging in goals but for displaying the necessary leadership qualities to one day be the player who revs up his teammates before first kick. Despite losing as many as a dozen seniors from last year’s Class 5A state semifinal round group, Copper Hills is off to an impressive 7-2 start for a multitude of reasons. Young players have risen to the occasion after competing for starting spots. Seniors have taken on roles needed to help new role players get acclimated, too. Perhaps none more so than Johnson, a versatile goal-scoring threat who has established himself as a go-to piece on this upstart Grizzlies team. Johnson had eight goals and 11 assists through his team’s first nine matches despite struggling with an injury that lingered for nearly a month. Johnson would’ve been a starter on that senior-laden squad a year ago, but he suffered a hip injury early that forced him to miss his entire junior season. Which makes his senior year campaign all that more meaningful to him. “A good role model for the entire team,” junior Marko Robles added. “The behavior and attitude of your captain permeate through the rest of the team,” assistant coach Tim Martinson said. While Moura’s first impression played out to become a reality, Johnson’s ability on the field goes beyond his ability to lead. Scoring goals is part of his DNA. His father, Danny Johnson, played semi-pro soccer for the former NPSL club Utah Salt Ratz. And yes, he was a goal-scoring forward. “It’s in the blood,” Carter says. He was working on a field with his dad since he can remember, perfecting finishing drills. His dad still to this day will film games, and they’ll dissect afterward what Carter did well and what he needs to improve upon going forward. As is the case with most young players, he’s learned to play several positions on the field. 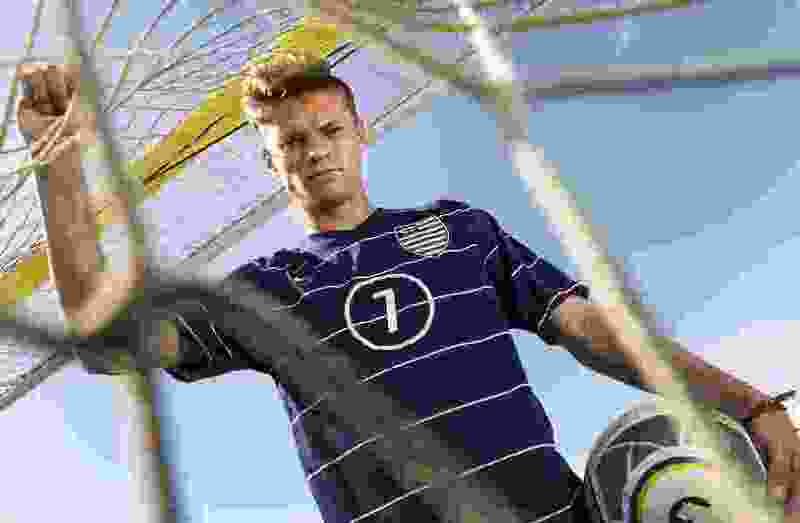 At the moment, he’s one of the top scorers in Class 6A, but he’s a defender on his club team, which he said has lent to expanding his soccer IQ when he moves farther up the field suiting up for the Grizzlies and taking it to opposing back lines. Admittedly, he’d be happy to play anywhere, but his passion is planting one in the back of the net. He’s already got his plans in place for next year. Johnson will attend Soka University, a small liberal arts school in southern California. There he’ll continue to lace up his cleats and currently hopes to pursue a degree in international studies. For now, however, he’s back to 100 percent health with his sights set on more goals and leading the way for Copper Hills toward another deep postseason run. “He just has the will to make things happen,” Moura said.